Your yard is the first part of your property that visitors see. Make sure that they form a great first impression by keeping up the appearance of your lawn. Germantown Landscape Company takes on all landscaping projects, big and small, for both residential and commercial clients. Rely on us to tailor our services to the size of your project. 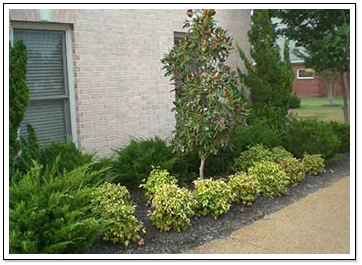 We offer a full range of landscape services in Memphis, TN, to enhance the appearance of your property. All work includes free follow-up service. Our experienced professionals specialize in creating beautiful residential landscapes. 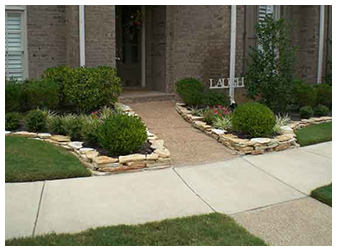 Give your home a one-of-a-kind look with landscaping that reflects your personal taste. We work with a variety of plants and materials to transform your yard into the envy of the neighborhood. New landscaping is an exciting way to boost your property’s visual appeal and value. Each job is supervised by a licensed landscape architect. Call us for a consultation on the possibilities for reimagining your outdoor space. Drainage problems can quickly reduce your ability to enjoy your property, and, unfortunately, these problems are very common. Our landscape architects consult with you to determine the best solution for your specific drainage issue. All of our drainage work is guaranteed. Enhance your outdoor living space with a new stone patio or walkway. Stone pavers give any property a classic look that stands the test of time. Attractive, durable, and suitable for virtually any design motif, our stonework is sure to be a home improvement that you appreciate for many years to come. 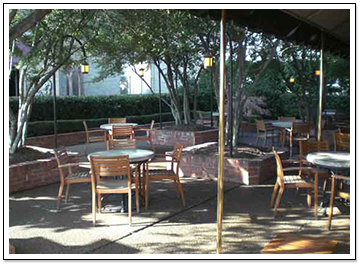 Your family will love the atmosphere created by perfectly selected and installed stone and sod. Take the headache out of watering your yard by making the process automatic. Our landscape services include the installation of irrigation systems that will ensure your lawn maintains its healthy, vibrant appearance. You'll love the time you save by letting a sprinkler system handle your yard watering. Rely on us for all sprinkler system services, including repairs and installation. Proper grading and lighting of a property maximize your enjoyment of the space. Our residential grading team understands exactly how to get the most out of your property, and our lighting associates add the finishing touch to your property with gorgeous illumination. We are happy to provide you with an estimate on the precise grading and custom lighting that leaves you with a safer, more attractive residential landscape. Create the perfect space for family barbecues, relaxing in the sun, and spending time outside. A deck is truly an outdoor extension of your home. At our company, we treat decks as ways to improve your opportunities for outdoor living. Our professionals are dedicated to designing the perfect space for you and your family to enjoy the fresh air and pleasant weather. Sometimes, it only takes a small overhaul to optimize the beauty of a property. We have mastered the art of refurbishing an existing landscape through trimming, transplanting, debris removal, and re-mulching. With a few expert touchups, your lawn can regain its pristine appearance. As an added service, we install pre-emergent herbicide that works to control weeds before they show up. Call us to work on your landscape, and we are confident you will appreciate the commitment to a higher level of service that separates us from the rest. The right trees add personality to any residential landscape. However, installing new trees can be a difficult process. Leave the work to us. We have the tools and knowledge to install and relocate both trees and shrubs. We even offer a full replacement warranty for any newly installed trees. Our company is the one you can depend on for a unique, healthy lawn. 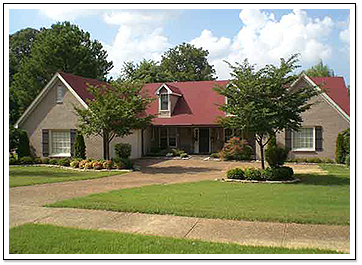 Landscape services in Memphis, TN add that finishing touch to your property. Perhaps, you’ve already remodeled the inside. Now, it’s time to take the outside to the next level. Count on our licensed landscape architects for ideas to enhance the beauty and improve the functionality of your yard. Truly, your home can be a centerpiece for the neighborhood, earning you the envy of neighbors and anyone who walks or drives by. 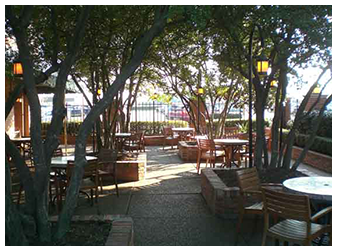 Our expertise extends from residential to commercial landscaping. We’re as committed to beautifying your home as we are your business property. At your company, you need to convey a sense of prosperity, hospitality, and community. Our skilled and experienced team can make it happen, whether your property needs soft or handscaping. Soft refers to the addition of trees, shrubs, and flowers; while hard involves improvements, such as decks, sprinklers, retaining walls, or lighting. First, we look over your property, ask you about what you want, and then draw up a plan of action. Rest assured, we will strive to stay within your budget while keeping your vision in mind. Why not give our owner a call for ideas, input, and scheduling? Contact us today to schedule a consultation for our landscaping services. We proudly serve customers in Memphis, Tennessee, and neighboring communities.